Do you have a new driver in your home? If you have a teenager who recently passed their driver’s exam, you want them to drive a vehicle that is safe and secure. Driving can be hazardous, especially for inexperienced teens. 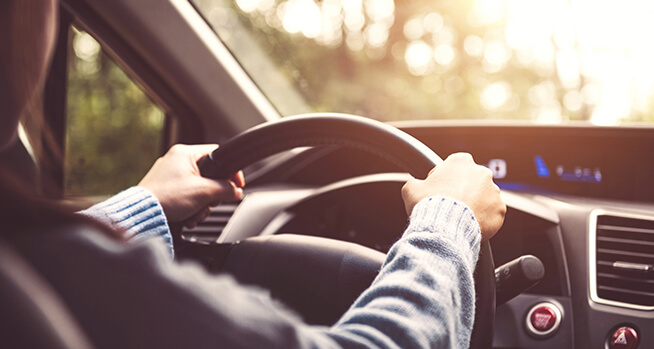 Today’s auto manufacturers equip their vehicles with top-of-the-line features designed to keep you safe on the road, such as object sensors and rearview cameras. For inexperienced not todrivers, these features can be a literal lifesaver. Here are some of the safest vehicles to keep your new driver safe on the road. You can keep track of your teen’s driving behavior with the Hyundai Blue Link system. This feature sends you a notification if your child drives after a certain time, beyond a certain geographic area, or above a speed limit. The Hyundai Ioniq also performed well on IIHS crash tests. The NHTSA has not yet provided a rating for this vehicle. While it is a compact vehicle, the IIHS designated the Hyundai Ioniq a Top Safety Pick. The IIHS designated the 2018 Toyota Camry a Top Safety Pick. The NHTSA provided the vehicle with a five-star crash test rating, so you know that this vehicle can keep your teen safe. The Volkswagen Tiguan is another IIHS Top Safety Pick, tying for the best overall safety score in the compact SUV category. The NHTSA has not provided a rating for the updated Volkswagen Tiguan. The Honda Fit passed all crash tests from the IIHS and received a five-star rating from the NHTSA. The Honda Fit is a hatchback and provides greater protection due to its size than a smaller vehicle. If you and your teen do not see an option on this list that you would enjoy driving, make sure to consider the following factors when purchasing a vehicle. Avoid vehicles that advertise high horsepower. These engines could tempt teens to test the limits of their vehicles, leading to risky driving behavior. Pay attention to the safety ratings. The Insurance Institute for Highway Safety (IIHS) performs crash tests and the National Highway Traffic Safety Administration (NHTSA) rates vehicles based on their restraint options and strength. Opt for a vehicle with a rating of four or five stars that passes all IIHS tests. Choose a larger, heavier vehicle. Although this may seem counterintuitive, larger vehicles provide more protection during accidents. Collisions can easily crush small vehicles, with potentially fatal results. Select vehicles with electronic stability control. ESC capabilities help drivers maintain control of the vehicle during dangerous driving conditions, such as icy roads and sharp curves.